The best political novel of the year is The Sympathizer—it starts with the Fall of Saigon in 1975. We’ll speak with the author is VIET NGUYEN—he teaches at USC, and his book is “fascinating and darkly comic” (T.C. Boyle). 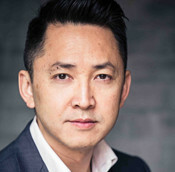 Viet Nguyen will be speaking at the LA Times BookFest at USC Saturday at 4:30. Plus: the LA art scene of the sixties – that’s the subject of a new book by WILLIAM HACKMAN, Out of Sight. Bill argues that the art of LA tells us more about America at mid-century than does the art of New York City. He will be discussing and signing tonight/Wed, 6pm at Arcana Books in Culver City, and tomorrow/Thurs., 7pm, at Book Soup on Sunset Strip.